Details are emerging of plans for the construction of yet another high-capacity submarine telecommunications cable to serve the African continent. 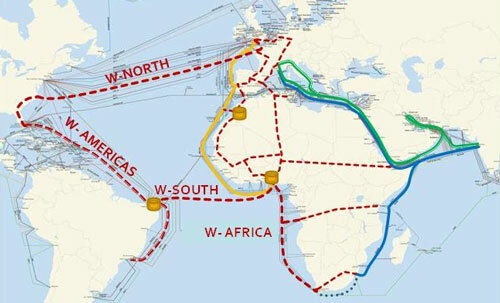 The Wasace cable, which will connect Africa, including SA, with South America, North America and Europe, and which will cost “billions of dollars”, is being project managed by the David Ross Group of the US. The Wasace Cable Company Worldwide, a multinational development company represented by CEO Ramon Gil-Roldan of Spain, says the new system will be one of the largest in the world, linking the major markets on four continents. It says it is the largest such project ever mounted in the Atlantic Ocean. “If the fibres were connected end to end, they would stretch three quarters of the way to the moon,” the company says. Wasace claims the system will be the first to employ next-generation 100Gbit/s fibre-optic technology, offering “ten times the capacity of previous systems”. It’s not yet known when the cable will be ready for service. Wasace representatives could not immediately be reached for comment on the likely design capacity of the system. Funders of the cable include VIP Must and the African Development Bank as well as other unnamed investors from Brazil and elsewhere. VIP Must is Wasace’s strategic partner and will provide financing, marketing and media strategy as well as institutional support. Based in Tunisia, VIP Must is headed by Patrick Perrin and invests in major global development projects. The David Ross Group is an international telecoms network consulting firm and has been involved in the development of some of the world’s largest telecoms networks. The group says that in the past 10 years it has supported more than 20 undersea cable projects, representing over US$2bn in investment in 80 000km of fibre-optic cable with landings in more than 40 countries. Wasace says it will be the first-ever high-capacity cable spanning the South Atlantic. 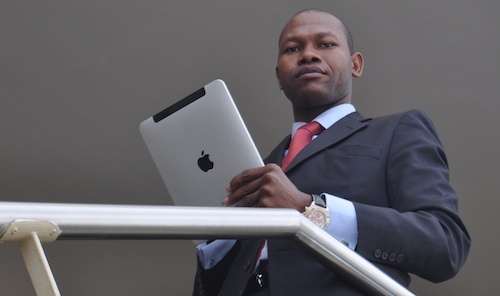 However, eFive Telecommunications CEO Lawrence Mulaudzi, who is leading a rival project that will connect Angola and SA to Brazil with a US$250m, 12,8Tbit/s system called the South Atlantic Express (SAex), says the SAex cable will be first along this route. He adds that there is no need for two separate cable systems connecting Angola with Brazil. Mulaudzi says SAex is finalising development agreements with the Industrial Development Corp and the Development Bank of Southern Africa. HSBC is likely to be the project’s banking partner and agreements should be signed with construction and supply partners in January.